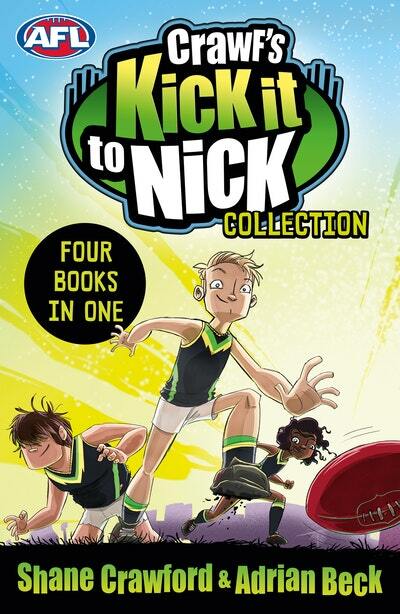 A fast-paced series with all the fantastic footy action you'd expect from Shane Crawford. Nick's not just playing for a win, he's playing for his life. Nick's turning into a real-life monster – and maybe he's not the only one. When mutant bugs attack, losing is the least of Nick's problems. It's Nick and the team versus the nastiest, ugliest enemy yet. The only excuse for not reading the play is if you’re reading Kick it to Nick instead! Trent Cotchin, AFL Star. Love Crawf's Kick it to Nick Collection? Subscribe to Read More to find out about similar books.